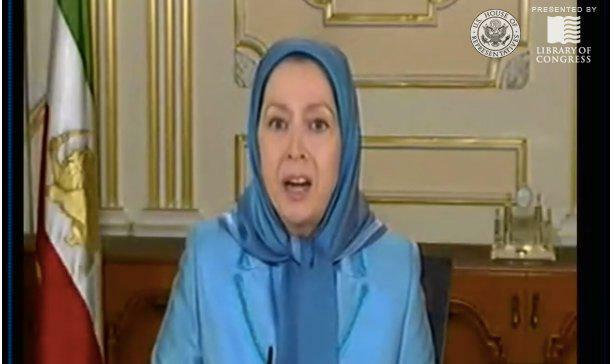 Maryam Rajavi, Mujahedeen-e-Khalq: Why is Congress listening to an ex-terrorist Iranian cult leader? Maryam Rajavi testifies to Congress via satellite on April 29, 2015. In what one member of Congress called a “historic hearing” yesterday, Maryam Rajavi, leader of the controversial Iranian dissident group Mujahedeen-e-Khalq, or MEK, testified via satellite before a congressional subcommittee on the threats posed by ISIS and Iran, which she sees as one and the same. The MEK is considered a dangerous cult by many, and until three years ago was labeled a terrorist organization by the U.S. government. But after years of concerted lobbying, it enjoys a surprising amount of support on Capitol Hill. And yesterday the MEK displayed its growing influence in U.S. foreign policy debates. It’s been a long and winding road for the MEK. Ideologically, the MEK originally sought to fuse revolutionary Marxism with Islam, but it has largely abandoned that rhetoric today for something more palatable to Western supporters. The group was formed in the 1960s by leftist Iranian students opposed to the Shah’s regime. During the 1970s it carried out attacks that killed several Americans working on defense projects in Iraq, and supported the takeover of the U.S. Embassy in 1979. After the Iranian Revolution, the group fell out with the new Islamic state and went underground, carrying out a series of high-profile attacks against the Iranian government while its leaders fled to Paris. During the 1980s and 1990s, the MEK fought as a private militia on behalf of Iraqi leader Saddam Hussein. But things changed after the U.S. invasion of Iraq in 2003, when the MEK renounced violence (after being disarmed by the American military) and cast itself as supporters of the democratic opposition in Iran. Not everyone bought the group’s transformation into defenders of liberty, secularism, and women’s equality. Critics say the group began to transform into a cult centered around its leaders, the married couple Massoud and Maryam Rajavi, after the Iran-Iraq War, when thousands of its fighters were killed. In 2003, New York Times reporter Elizabeth Rubin visited the group’s Iraqi compound at Camp Ashraf and described it as resembling a “fictional world of female worker bees … dressed exactly alike, in khaki uniforms and mud-colored head scarves, driving back and forth in white pickup trucks, staring ahead in a daze as if they were working at a factory in Maoist China.” Followers at Ashraf were reportedly cut off from the outside media, required to attend regular self-criticism sessions, and barred from personal friendships and emotional relationships. But the group played its cards well as Western concerns grew over Iran’s nuclear program, reportedly passing information from its supporters within the Islamic Republic on nuclear facilities to the U.S. and, according to some reports, cooperating with Mossad to assassinate Iranian scientists. It also began a multiyear, multimillion-dollar lobbying campaign to remove itself from the terrorist list, including paying American figures like Rudy Giuliani and Howard Dean to give speeches on its behalf. It worked, and in 2012, Hillary Clinton took the MEK off the list. Since then, the group’s influence has been growing. Its supporters regularly crowd hearings on Capitol Hill dealing with Iran and its increasing influence in Iraq. The Iraqi government has long viewed the MEK with hostility and has carried out several brutal attacks on its compound. U.S. officials also believe Iranian troops participated in a 2013 attack that killed at least 50 MEK members in 2013. One of its staunchest supporters on Capitol Hill, Sen. Robert Menendez of New Jersey, held up a planned arms sale to former Iraqi Prime Minister Nouri al-Maliki’s government in part over concerns about the treatment of the MEK. Still, not everyone was as welcoming. Former State Department counterterrorism director Daniel Benjamin, who had been scheduled to testify, dropped out of the hearing rather than appear with Rajavi. Another, former ambassador to Syria and prominent administration critic Robert Ford, told Foreign Policy he was “shocked” to learn she was on the panel and demanded that the subcommittee “put me on a panel without the MEK or I wouldn’t appear.” He wound up speaking earlier in the day. In her appearance, via satellite from Paris, Rajavi made a case familiar to anyone who listened to Benjamin Netanyahu’s speech to Congress in March: that ISIS and Iran are two sides of the same coin, despite the fact that Iranian-backed militias are fighting the group in Iraq. “The Mullahs regime is not part of any solution to the current crisis. Instead, it is the heart of the problem,” she said, referring to the Iranian government as the “Godfather of ISIS.” She referred to the current fight between ISIS and Iran as merely an “internal power struggle” within Islamic fundamentalism and warned that “fundamentalism of the Shiite kind is more dangerous than the Sunni one” because Shiites already have a state, Iran, which is projecting its power in Yemen, Lebanon, Iraq, Syria, and elsewhere.